I believe my mother-in-law, Jinx, has been asking me to make these ever since Mary and I started dating. Well, maybe not that long, but it has been a request for several years now. Now that we're married, I figured I better make good on my promise to make them! I realize I am at the tail end of the season on this and these have been sitting in the queue for a post for about a month now — so here goes. 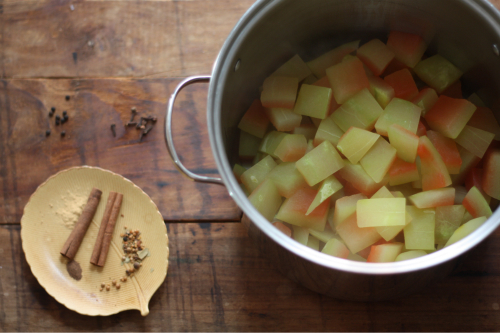 Watermelon rind pickles, tried them? It's kind of a southern thang. First off, (and if you have been reading this blog for a while you'll know) I do not have much of a sweet tooth. I am more of a meat and potatoes guy myself, but I remember my grandmother making these in the summer and they were too sweet for my liking. First you want to peel skin from the rind and cut it into small pieces, about 1 inch square. 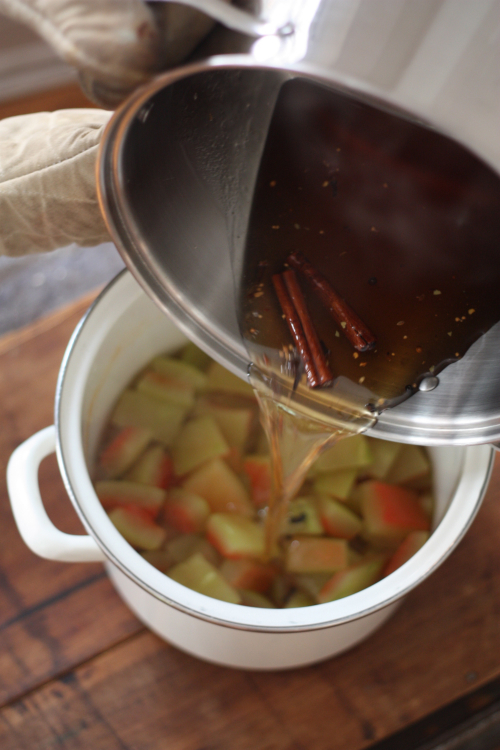 You boil the rinds in water for about 8 minutes to make them soft, then drain and prepare your pickling brine. After repeating the process of straining and allowing the rinds to soak in the brine a couple of times you are then ready to seal in jars. The verdict, although good, full of great flavor and fun to make — they are still just to darn sweet for me (you may take this with a grain of salt since I'm not a sweets person). 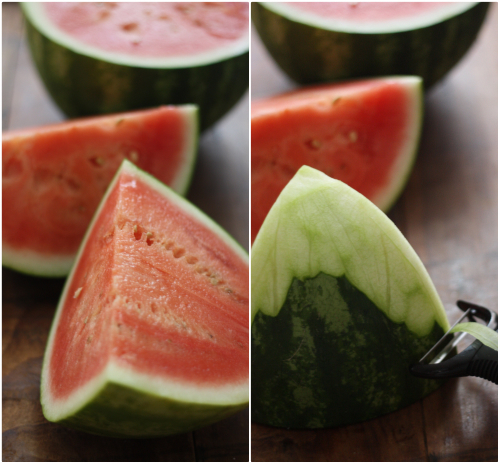 Got a late season watermelon in the fridge? 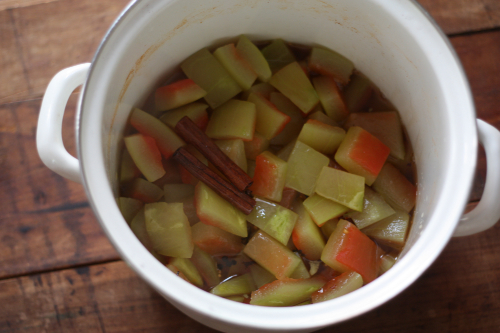 I would suggest taking the time to try making these watermelon rind pickles and letting me know your thoughts. 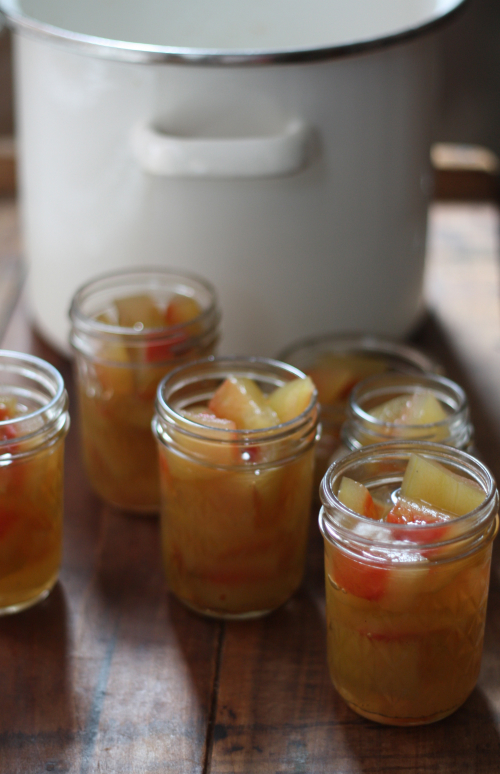 Have you pickled anything other than pickles this summer? Interesting. I make a watermelon rind pickle, but I soak them in pickling lime overnight (to get them nice & crisp), then simmer then in brine until they are translucent, which takes about 2-4 hours. Whoever thought to pickle that anyway? Becky as I was making these I was wondering the same thing! I have always wanted to try these, but have been unconvinced they are edible! Now I know they are. Thanks Tim! Thanks Tara! I am sure you will do them justice! Let me know how it goes. Well I am cooking with eggplant and curry today! 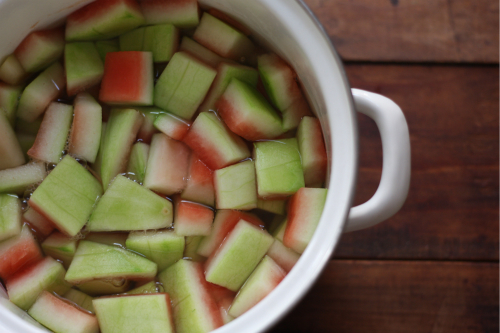 I am looking for watermelon rind preserved recipe. my husband Nana made them for him as a child. That also sounds good. Let me know if you find a recipe!